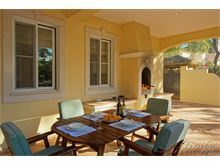 Situated in the prestigious Pinheiros Altos development within the Quinta do Lago resort, Entre Nous offers an abundance of space and comfort for up to 8 guests. 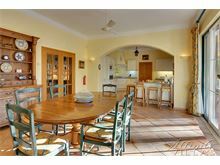 The ground floor offers the contemporary set up of a large open plan kitchen, dining and living area with access to the covered pool terrace and swimming pool, complete with brick built barbecue and ample covered dining area. 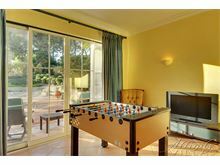 A separate area of the lounge contains table football and games console to keep younger guests entertained. 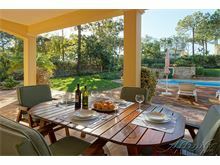 With three spacious bedrooms on the ground floor and the master on the first floor, the villa offers plenty of accommodation for a large family in peaceful and lush grounds yet within a short distance of all the world-class facilities Quinta do Lago has to offer. 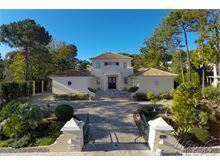 Gated drive leads to steps to entrance, guest cloakroom, open plan living, dining and kitchen area with ample seating, open fire, TV, DVD player and stereo system. 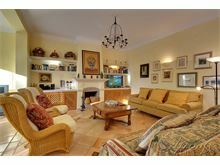 A games area is also provided with table football, PlayStation 2 (a few games provided) and a second TV for game playing. 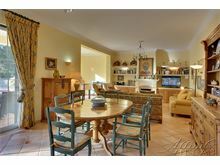 French windows open onto covered terrace facing the swimming pool complete with outdoor dining facilities. 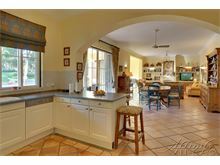 Kitchen is fully equipped with an integrated oven and microwave, gas hob, dishwasher, fridge/freezer. 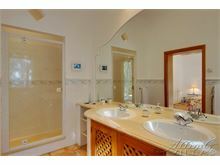 A separate utility room is equipped with washing machine, tumble dryer, and an additional fridge. 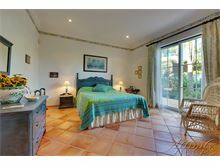 On the ground level is a twin bedroom with en suite shower room, and French windows opening onto a terrace, a further double bedroom with French windows and a twin bedroom sharing a separate bathroom. 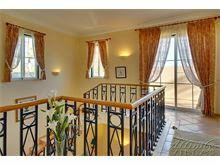 Stairs from the hallway lead to master double bedroom with French windows leading to terrace overlooking the swimming pool. 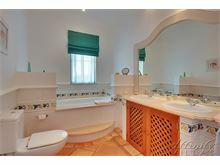 This bedroom has an en suite bathroom with a separate walk in shower. Maid service 3 times per week. 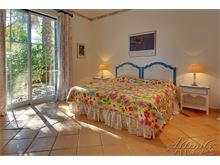 Air conditioning, pool heating and WiFi available at extra cost, if required. 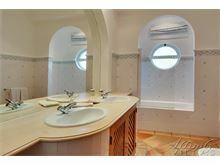 Excellent villa which has everything you need. 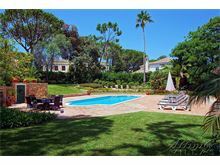 Swimming pool and grounds are fantastic with huge garden area. 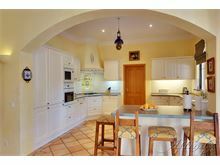 Lovely spacious villa with everything you need to feel at home. 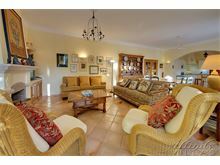 A beautiful villa- lovely open living area opening on to a large shaded terrace. Big pool perfect for lounging in and around as it gets the sun all day. Outdoor shower is a lovely bonus. 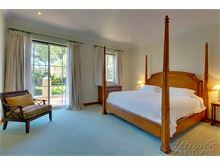 Very comfortable 'lived in' furnishings ideal for relaxing in. 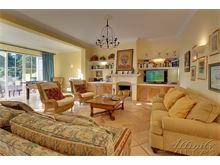 Lots of books/ games and a big TV with satellite channels so we could keep an eye on the Olympics and Test match while sunbathing. 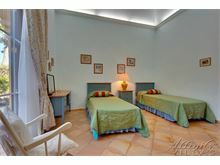 Large bedrooms with very effective, quiet air conditioning. Our two little boys aged 4 and 6 were happy and safe around the house. 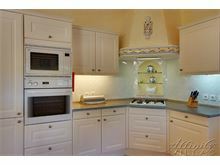 Affinity are a great company, the local management were also very helpful with a minor problem we had.